Heavy duty metal telescoping tripod stand with weighted legs for added stability conveniently adjusts in 2 stages from 25" - 48" in height. It has a "Goose neck" swivel hose attachment for easy hose connection. This is the best adjustable tripod on the market! 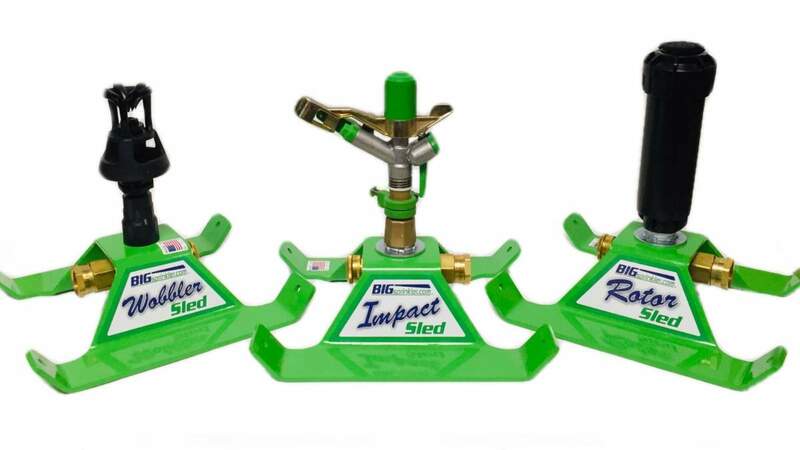 Great for uneven ground where one or two legs may be adjusted to make sprinkler head level! This product is tripod only and is shipped without a sprinkler for those who already have a sprinkler that they wish to use. If you would like a sprinkler with a tripod, please select from our tripod and sprinkler combinations.